“Shores of Knowledge: New World Discoveries and the Scientific Imagination” (W.W. Norton and Company, 2013), a book by UCLA history professor Joyce Appleby, has been chosen as one of the five best titles on the short list for the Ralph Waldo Emerson Award. The award, given annually by the Phi Beta Kappa Society, is offered for scholarly studies that contribute to the interpretation of the intellectual and cultural condition of humanity. Boasting a prize of $10,000, the award was established in 1960 and recognizes work in the fields of history, philosophy and religion as well as works in related fields such as anthropology and the social sciences. Appleby's book chronicles the history of the explorers who discovered new worlds and catalyzed the intrigue that led to discoveries in nature and ultimately the creation of modern science. 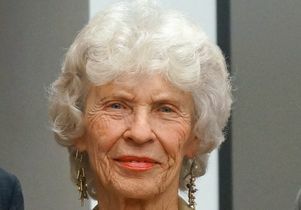 Joyce Appleby, professor emerita of history, died Dec. 23, 2016.